Businesses today are connecting like never before. Omnichannel integration means pushing your products and services to multiple vendors websites. This type of integration means that suppliers and vendors expect to be able to communicate electronically. 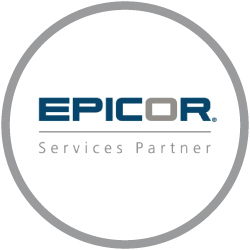 To stay ahead or beat your competition, you need to take the next step, using EDI to connect Epicor to your customer’s systems. SaberLogic provides the software and implementation services for the portion of the EDI process that goes between your VAN or mapping partner and your Epicor ERP. SaberLogic has been working closely with SPS Commerce on EDI integration since 2009, and we achieved certification of our Epicor EDI solution on their RSX platform. In the past, every EDI trading partner you had needed to have a custom map developed. If you had a lot of trading partners, this quickly became a lengthy and costly development process. To solve this, SPS Commerce developed a retail standard XML format that they called RSX (Retail Standard XML). By standardizing the format, this allowed SaberLogic to develop a tight integration layer between SPS and Epicor that eliminates the manual data entry of your orders, customer invoices, warehouse shipments, etc. You have a single channel to SPS, who sorts and separate all EDI transactions and delivers them to us according to the trading partner. 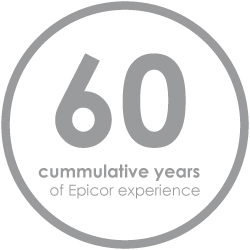 SaberLogic then takes that RSX output file from SPS Commerce and converts that to a file that Epicor can read through Epicor Demand Management and Direct Import, which is the preferred process flow for Epicor EDI handling. Outbound documents are kicked off via a BPM (Business Process Management) which uses database calls for high-performance document creation. NOTE: Total implementation time will vary based on whether you are already using SPS Commerce and on the total number of trading partners. Electronic version of a paper-based invoice document. Created in response to a Purchase Order (EDI 850). Used commonly as a sales forecast. May include shipping information, though solely based on forecasts. Used to communicate inventory information between partners. Used to place orders for good or services. Provides information you would find on a paper Purchase Order document (item pricing, item quantities, shipping detail, payment terms, etc.). Used to confirm receipt of 850 (Purchase Order). Can include details such as: accept, reject, accept with changes, change or reject one or more lines items for freight charges and terms. Used to communicate the contents of a shipment to another trading partner. Sent in advance of a shipment arriving at a partner facility. Used to request the change of a purchase order that had already been sent. Provides instructions to warehouse: what, when, how much to ship. Used to notify partner shipment is complete. Is there a document type you need but don’t see it in this list. No problem! Contact our sales support team to discuss your needs and we can develop a custom crafted solution to handle your specific document type needs. 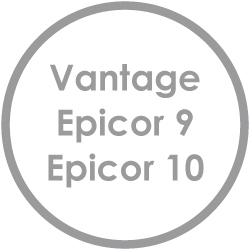 Are you an Epicor 9, 10 or Vantage ERP user? Click the button below to learn how Bezlio can help deliver custom Epicor mobile solutions on any device.